From this Japanese website: http://kneader.jp/recipe/14. I doubled the recipe here. 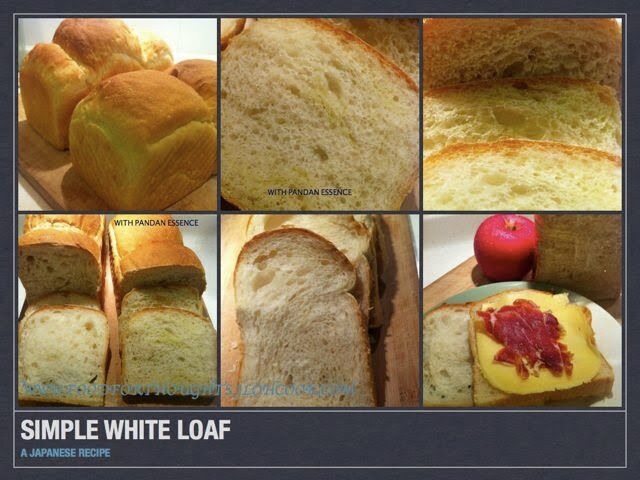 I stumbled on this recipe when one of the TFLers (www.thefreshloaf.com) was discussing about a new proofing machine. Another TFLers gave us a link to a Japanese website that had similar proofing machine. I was pleasantly surprised that they have recipes. Ok, the recipes are in Japanese, and of course, with the brilliant Google Translations, and reading the chinese characters in the website, I managed to figure out the recipe and gave it a try. Love the taste of this bread, it is soft, light and airy. I tried this recipe immediately when I return home from work one day after I printed out the recipe. It is half of what I wrote here. Unfortunately I didn't have enough time to bake it and left it in the fridge to rise, somehow, it didn't rise much, and I sent it baking. The crumbs were tight. I decided to try again on this Friday night. I had to make sandwich for my son to bring to his football game. Wanted him to have a light white sandwich loaf with his favorite Sorreno Ham and Gouda Cheese, for breakfast and lunch. 1. Mix all ingredients for biga. The recipe calls for 10 minutes, but I left it for 30 minutes because I didn't have a proofer. The biga bubbled nicely. 2. Mix final ingredients in. I used the hand-held machine to knead the dough. It was good 5 minutes, with butter added last and coating the surface. I had to run off for a meeting, and left the dough to rest. 3. After 1/2 hour, my meeting ended. Oh my, the dough was already rising. I decided to knead it a little more, and split into 2 pieces. One of them, I wanted to add Pandan essence (a kind of leave found in Asia - that has a unique fragrance and a dark green colour) I took 2 spoonful of pandan essence and added into 1 of the dough, of course the dough got a little more sticky, and I had to knead a little to get it all in, well, I added the essence too late, the colour didn't quite spread around. Well, that'll do. I left them to rise in plastic container. 4. 1 hour - this winter is quite warm, the temperature is around 23-25 degree celsius. The dough rose nicely, doubled. 5. Rolling each of the dough, I let it rest for 10 mins. 6. I cut the Pandan Essence dough into 2, and the white loaf, into 3. Somehow, when I divided the dough earlier, the weight was not even. Shaping the dough gently, and ensuring the the gas is evenly distributed, rolled the dough and put into the loaf pan. I used 2 sets of 9 by 4 inch pan. 7. Leaving the dough to rise in the pan. The plain one rose nicely, slightly above the pan after 1 hour, and the one with pandan essence seems to loose steam after 1 hour. I decided to go ahead to bake it. 8. Baking time - this is an interesting part. The Japanese recipe requires 200 degree celsius for 5 mins, 190 degree celsius for 20 mins and 160 degree celsius for 10 mins. I did exactly that. The plain dough expanded above the pan height, but the one with the pandan essence didn't rise as much. The best about this is, no need for steaming. The height of the bread is quite obviously. I love this bread. I think I'm going to make this a regular white loaf. 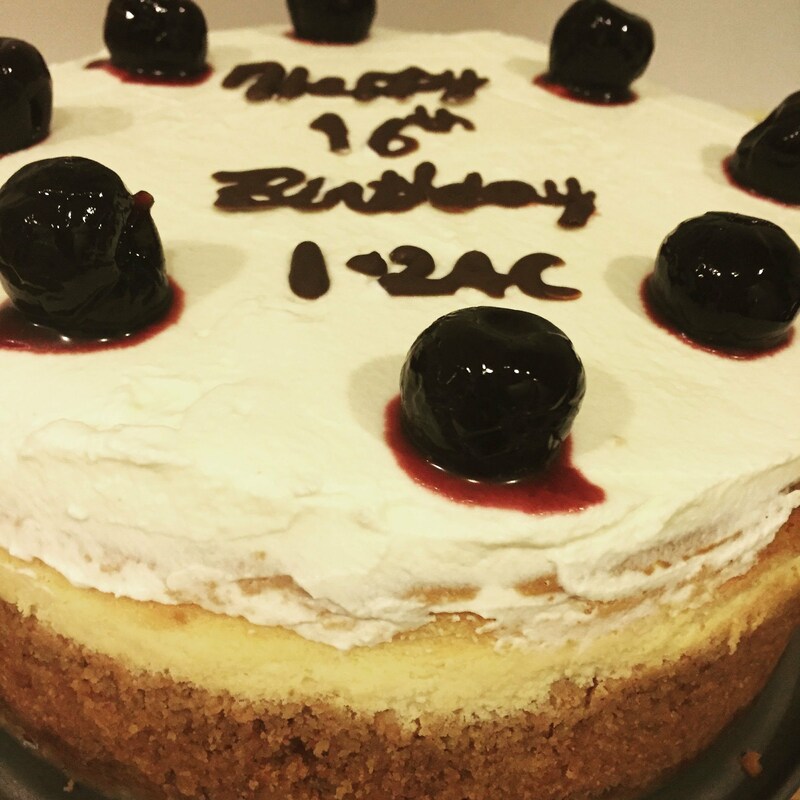 Its not too sweet, and not too much butter, its light and airy, if I get it to proof properly. Need a little tweaking for the pandan essence one, the fragrance of pandan essence was not brought out. perhaps a little coconut milk might help. I'll try it next time. In the morning, I cut up the bread, it was as soft as the Hokkaido Soft Milky Bread that I made couple of months back, but this is certainly healthier, no double cream needed. I was ready to make sandwiches for my son. Packed it for lunch for him to bring along for his football tournament and breakfast. I'm sure he likes it.